Queen Elizabeth National Park is best described as a medley of wonders for many reasons! This park is the second most vast savanna grassland conservation area after Murchison Falls National Park. Queen Elizabeth National Park expands up to 1978 and offers refuge to several species of wildlife, Lakes, Mountains and for cultural enthusiasts, the park is also credited for its most thrilling and amazing cultural experiences in the adjacent communities that today make Uganda tours complete. This protected area is also designated as the World bio sphere reserve with a RAMSAR wetland site and at times it is perfectly described as the pearl of Africa. Queen Elizabeth National Park is situated on the Equator line, southwestern Uganda with the base of the mighty Rift Valley between Lake George and Edward and it is bordered by the Democratic Republic of Congo (DRC) on the western part. The protected area is famous for its four (4) of the big five game in Africa that include African Lions plus the rare tree climbing lions, elephants, buffaloes, leopards and other species of wildlife and more than 620 unique bird species. It is so unfortunate that 11 lions were poisoned and died on 11th April 2018 and this was a big damage to tourism in this park. A cultural visit to Nyanzibiri Cave Community offers you opportunity to stretch the legs after the tremendous wildlife experiences and scenic walks in the magnificent Queen Elizabeth National Park. You will hike through the 2 conjoined crater Lakes, take village walks, catch panoramic views of the spectacular Volcanic Crater Lakes and the sounds of the crested cranes and eagles or paddle the canoe, hike to the transparent Lake, sight the 8 (eight) primates species. 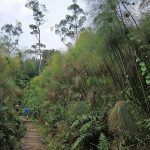 Other local tourist attractions for you not to miss to catch a glimpse at include the historic caves and cultural museum, Bunyaruguru hut which inhabits the most valued local artifacts that were previously used for daily operation by the locals at a time. This community also operates some lodges, restaurant and bar. This is a socio-economic development program that is run by the community mainly to boost cultural and wildlife conservation through ecotourism. Leopard village is lies near Muhokya village within a 3 acre land at the border to Queen Elizabeth National Park in the north. Your visit to this village is a great opportunity for you to discover more about the unique traditional huts of the Banyabindi, Basongora and Bakonzo ethnic groups, be entertained by traditional songs and dance performances and also purchase some of the handicrafts locally made by adjacent local residents. You can even spare time to interact with community members about the challenges and opportunities they are encounter being one of the communities near the park. You can as well reach to one of the local schools and discussions on traditional village life styles and solutions for human-wildlife conflict. The Leopard Village however partners with other local communities like Muhokya, Kahendero and Hamukungu and the Uganda Carnivore program as well as the support of the zoos from the United States and Germany. The fees and donations generated are directly transferred to support the community development, conservation and education programs and to the individual artists. A cultural visit to Leopard Village is the best way in which you can support wildlife conservation in and around Queen Elizabeth National Park and to ensure sustainable development in the local communities. The word Kikorongo locally means too much sunshine much as the heat of the African plains hasn’t reduced the energy of the Kikorongo Equator cultural performers. A visit to this community offers you a chance to enjoy the amazing and sound performances while you are at the lodges as the locals demonstrate and perform before you. You be amazed by the incredible lifestyles of the Kikorongo, the dances, music performances, drama and fire making. As well, never miss the interpretations by the locals of most of the significance performances as you relax and watch the real rural life. There is also Kikorongo’s African Art Craft Workshops for you to learn more on how to make baskets and bowls using natural fiber raw materials. They will also demonstrate to you how to recycle magazines into colorful paper beads that can be turned into beautiful necklaces. For memories, you purchase some of the locally made basket, bowls and other items in the workshop. Lake Katwe is among the very few most unique Lakes in Uganda and it is very salty to accommodate wildlife species but it has accommodates the Katwe villagers ever since 16th century. You will have opportunity to explore more about salt mining process in this community as away of generating income. On your way, never miss to catch a glimpse at unique bird species at Bird Sanctuary Lake including the flamingoes which mostly come to this area between October and May. Up on arrival, you will be welcomed to traditional homestead and have cooking demonstrations for the areas’ cuisines as well as visiting the nearby schools. 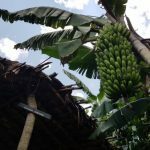 Agro tour walk takes you through a 2 to 3 hours’ trail starting from the rural Katara village with hike to the farms of Kicwamba escarpments in the morning or evening. As you walk, never miss to spot out most of the birds, exotic and medicinal plants and sites of cultural significance. You will be guided by experienced tour guides who are knowledgeable about what takes place in their community. From the above discussion, for visitors on Uganda tour to Queen Elizabeth National Park, make sure that you include both wildlife spotting and cultural encounters in your bucket list to make your safari complete.